This forecast was published 04/08/2019 at 7:02 AM. 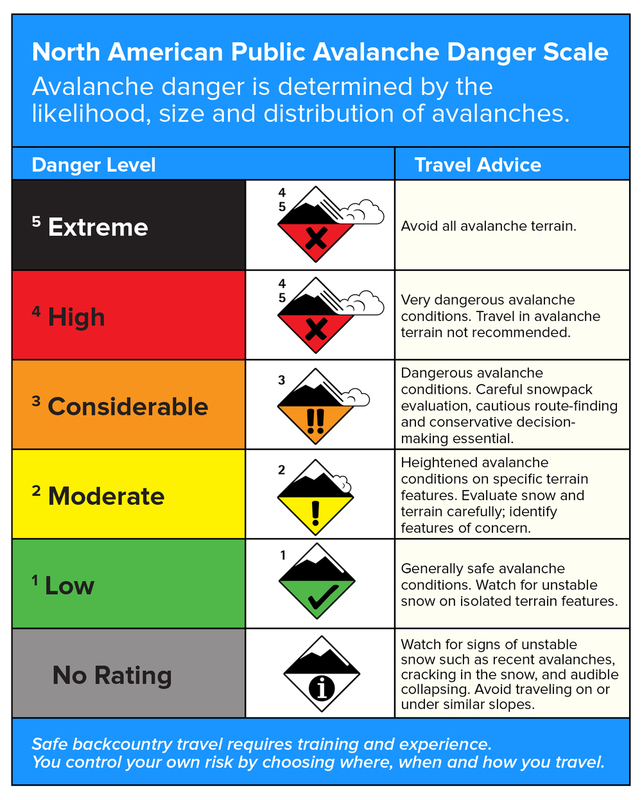 This is an archived avalanche forecast and expired on 04/08/2019 at midnight. New wind slabs developing through the day will be possible for you to trigger and may become large enough to bury a person. The amount of snow we receive from today’s variable precipitation types will influence the size of this new avalanche problem. If we receive mostly snow and sleet, avalanche danger may rise quickly as today’s wind builds new and unstable slabs. These new slabs could become large, particularly late in the day when wind increases and shifts to blow from the west. If precipitation falls with less snow and more as freezing rain, rain, and sleet, new wind slab development could be minimal. 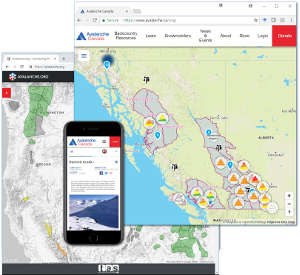 Watch for how this weather unfolds today and evaluate snow and terrain carefully to identify features of developing avalanche concern. All forecast areas have MODERATE avalanche danger. Decreasing clouds and temperatures in the mid 30’s F at ravine levels yesterday gave way to precipitation overnight. Around an inch of new snow and sleet has fallen and should continue through the day, with snow and sleet in the morning transitioning to sleet, rain, and freezing rain later in the day. Total snow and sleet accumulation of 3-5” is expected. Temperatures should hold a few degrees below freezing throughout our terrain. Wind has shifted from W to S and remained under 40 mph on the Summit since precipitation began, and is forecast to shift W and increase towards 70 mph as precipitation ends this evening. A second weather system arrives early tomorrow and may bring a few inches of snow on light wind. Active and variable weather through the day will create new wind slab problems over a fairly stable snowpack. This morning, southerly wind will build wind slabs from the new snow and sleet on northerly aspects. 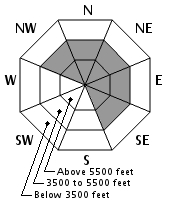 When the wind shifts to the west this afternoon, watch for developing wind slabs on easterly aspects. Variable wind direction at lower elevation should keep you on your toes wherever you travel, looking for drifted new snow as the avalanche problem. 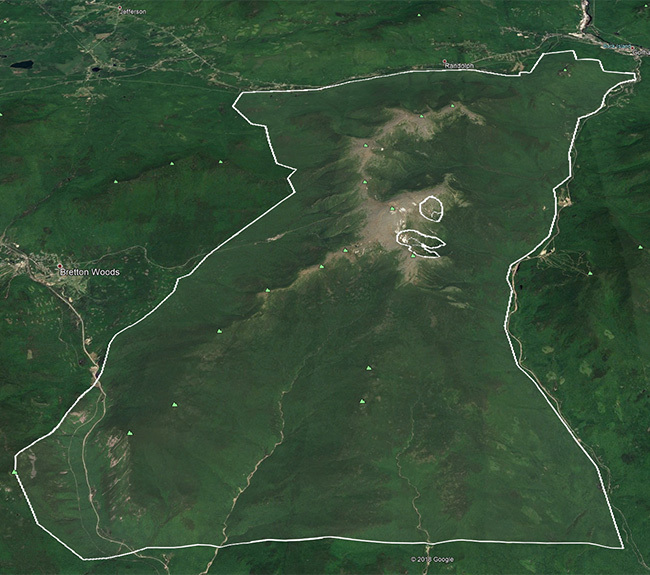 These new wind slabs may become large enough to bury a person. Size, sensitivity, and location of today’s avalanche problem depends on an uncertain weather forecast of precipitation types, with variability in potential new snow. Above freezing temperatures yesterday warmed our upper snowpack at all but the highest elevations. The snowpack has yet to refreeze at the 4000’ elevation, but forecast below freezing temperatures today minimize our concern for wet avalanche problems. This mostly stable existing snowpack should not contribute to avalanche concerns today. Today’s weather is driving our wind slab avalanche problem, and a strong degree of uncertainty in forecast precipitation types lends uncertainty to this avalanche forecast. If we receive more snow than mixed precipitation, expect new wind slabs to develop rapidly. Pay close attention to amount of new snow and sleet that we receive, and realize that this may change quickly and vary across the range. Also watch for summit winds to become westerly and increase rapidly late today, potentially building new wind slabs on easterly terrain at middle and upper elevations. The Sherburne and Gulf of Slides ski trails are snow covered to Pinkham Notch with a few areas of open water at low elevations. Posted 04/08/2019 at 7:02 AM.